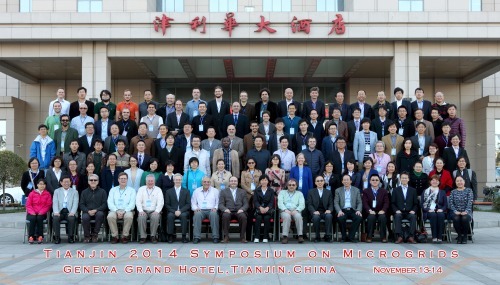 The Tianjin 2014 Symposium on Microgrids was the 10th in the symposium series. Two days of presentations, discussions, poster and panel sessions were followed by two days of optional technical tours to Tianjin Eco-City, Tianjin University Smart Grid Lab, and the Yanqing Microgrid demonstration. Agenda and presentations for the symposium are linked here. Symposium photos are linked here. Symposium discussions and poster session photos are linked here. Eco-City tours are linked here. Yanqin tour photos are linked here.